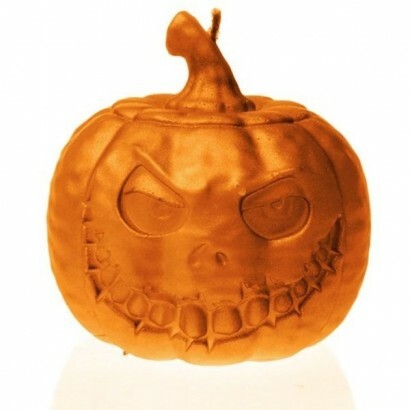 Smiling with a sinister sneer this Jack O'Lantern pumpkin candle is a must for Halloween complimenting your larger pumpkin lanterns to see off wayward lost souls wandering in the night. 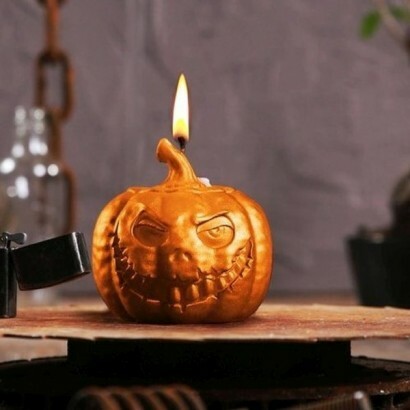 With a ghoulish grin and metallic orange finish, this pumpkin Halloween candle gives off all the spooky feels shining with flickering candle light for a low lit creepy atmosphere throwing dancing shadows into the darker nooks and crannies of your home. Light this petrifying pumpkin at your Halloween party and it will shine all night long with a whopping 54 hour burn time!